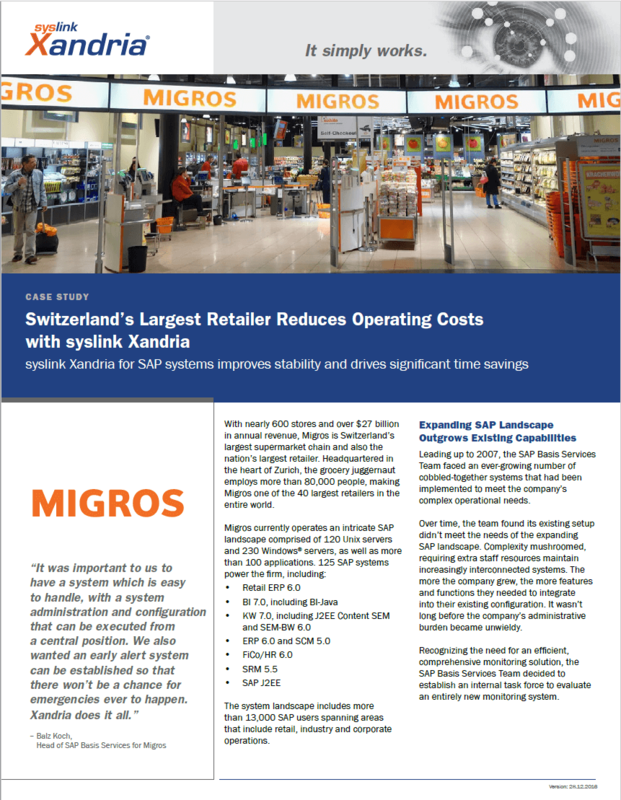 Our long term customer Migros, Switzerland's largest retail company and largest Swiss employer will use syslink Xandria to manage all cash systems at all points of sale. With nearly 600 stores and over $26 billion in annual revenue, Migros is not only Switzerland’s largest supermarket chain, the nation’s largest retailer as well. Headquartered in the heart of Zurich, the grocery juggernaut employs more than 80,000 people, making Migros one of the 40 largest retailers in the entire world. The system landscape also includes more than 13,000 SAP users spanning areas that include retail, industry and corporate operations.